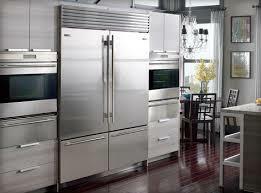 Even the high-end, most recognized brand name refrigerators still end up needing work done on them from time to time. And when that time comes, especially if you’re dealing with a Sub-Zero refrigerator, you want only the best appliance repair Las Vegas has to offer… the Appliance Masters is who we count on (http://lasvegasappliancemasters.com). Okay, we have a Sub-Zero refrigerator; complaint is it just not cooling efficiently. We determine that the condenser is dirty, needs to be cleaned. So we’re going to go ahead and blow that out. 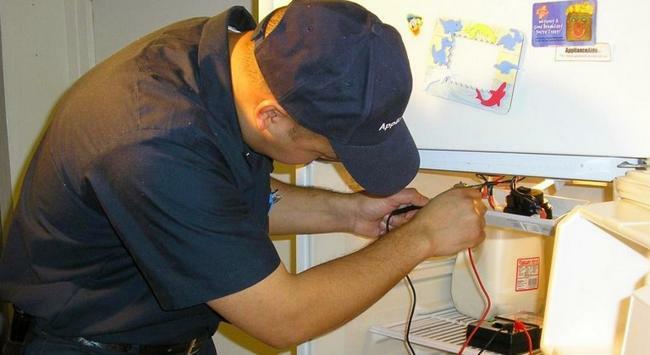 Before beginning any repair, always be sure to disconnect the power to the appliance. It is also recommended to test the outlet for the proper voltage. To complete this repair, you’ll need a tank of compressed air. We need to access all the important step on top, so on this model here, this panel, it just, it’s hinge almost., it’s not really hinged at the bottom, it just sits on little pins and so we’re going to lean it forward. And there is a spring, which is right here so we’re going to just pop that spring out here, lift that off, we can remove the grid completely. Okay, so we’re going to blow out the condenser up there. 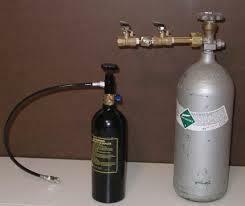 I have some compressed air, a CO2 tank with a line on it. What we’re going to do is we’re going to cover this area with a damp towel, I have an old beach towel that we’re going to use that way all that dust doesn’t blow all over the home may get a little bit, but with the towel there, it won’t be too much. Then, once we get up there, basically we’re going to take our line and we’re going to run up and down all over that condenser back there and that’s how we’re going to clean that with compressed air. Okay, so now we’re going to take the towel, we’re just going to do our best to try to get it up here. There’s no right way or no wrong way to do it, we’re just trying to minimize the mess for the customer. Will go over the top here, tuck it in here. So since we now already know where we have to get this. Line, I don’t need to see it and if I do see it, my face is isn’t going to like me afterwards. So, we’ll go ahead and just get everything prepped, get ready to go, get my hand back here with the line and we’ll just going to blow it out. Alright and you just try to do the best job you can, I will set this down and then what we can do is kind of get in there and stick your head in there, make sure that you got it all and we’ll go ahead and pull the towel down and we’ll be careful because I’m sure it’s got a lot of dust and dirt. So I got my brush, just going to reach in there, just to make sure I got everything the best I can. Just want to be careful with the brush that we don’t bend the coil and I am just going with the groove that’s in the coil that way you don’t bend anything and I don’t see much of anything left. We’ll take our panel, we’re just kind of set it in the general area, I pointed out earlier. There’s tabs, two of them here that correspond with little recessed like holes and the grill here. So we’ll just set it close because it’s going to move a little bit on you. And you grab that spring, grab the spring and hook it around and line up our pins in their holes and there we go.